What is Inflammation? Inflammation is our bodies response to stress and occurs when our oxygen levels are too low. Diet, lifestyle, environment, emotional and physical stresses, are just a few causes of inflammation. When we experience an injury or infection our bodies natural response is inflammation. This is a good thing, it means our bodies are fighting for us! However, when your body is in a chronic state of inflammation, it hinders our bodies natural healing process from taking place. We then are unable to heal. Which makes inflammation the leading cause of most diseases. My goal at Holistic Light Therapy is to increase circulation through LED Light Therapy, thus reducing swelling, reducing inflammation, and reducing pain. As our blood circulates, it delivers key nutrients and oxygen to all organs and cells in the body. This is essential during exercise, these nutrients fuel the muscles in our bodies, allowing them to perform at their optimal potential. The amount of nutrients available to our muscles, is directly affected by our blood circulation. If our blood circulation is poor, those nutrients are not supplying the muscles what they need to perform. Studies have proven that an increase in oxygen and blood flow will enhance your workout performance, aid in recovery, and help prevent injury. So whether you’re a triathlete, professional athlete, runner, or Yogi, LED Light Therapy will increase the circulation to your muscles making sure you are recovering quickly and performing at your maximum potential. Clean eating, proper hydration, and blood circulation play key roles in supporting healthy looking skin. Excellent circulation is vital to your skin's appearance for a variety of reasons: it provides your skin with the nutrients it needs, it helps push out the toxins absorbed by pollution and makeup, stimulates not only collagen production but cellular regeneration. You can now achieve radiant, glowing skin, through a non-invasive, drug-free treatment! 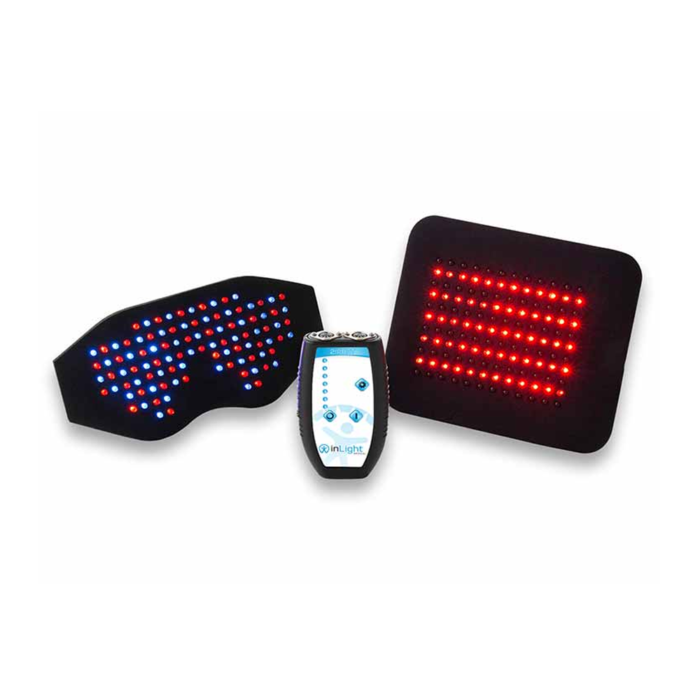 LED Light Therapy encourages your skin's natural ability to regenerate itself. Your skin absorbs the LED wavelengths of infrared, blue, and red light. Cells and nerves below the skin become activated allowing the body to self-heal, reducing the appearance of fine lines and wrinkles, dark under eye circles, uneven skin tone, scars, and acne. When the pain and inflammation are gone, your blood vessels are no longer restricted. They will begin to dilate and your blood will start circulating at it’s proper rate again. This is when restoration can start to take place. Restore your entire body, make Light Therapy part of your daily routine, it will significantly improve your overall well being. When you feel amazing, when you are healthy & pain free, aren’t you happier? Use LED Light Therapy’s all natural, holistic approach to live your life to it’s fullest. Restore your body and live your best life yet!